Click on one of the following topics to see a list of useful websites relating to it. Anti-microbial Activity of Backhousia citridora oil - Tracey Ryan, Heather Cavanagh and Jenny Wilkinson, School of Biomedical Sciences - Charles Sturt University, Wagga Wagga NSW . Roundtable of Sustainable Palm Oil - a body tasked with ensuring responsible and sustainable palm oil production, its initiatives to prevent deforestation and protect peatland. The RSPO is addressing these destructive practices through accreditation of palm farms worldwide. Accreditation/certification means those farmers work within the standards of practice set out by the round table committee to ensure eco-friendly farming practices. Rainforest Remedies' palm oil supplier is one of the companies certified by the RSPO. What Can I Eat partners people to products, goods and services dedicated to supporting people who are searching to meet their specific dietary and personal care needs. What Can I Eat is a database of products, information and services all in the one convenient space! Presenting a unique online resource to find products and services to solve your allergy needs. Rainforest Remedies is a 100% Australian owned company dedicated to providing quality, sustainably sourced natural skincare products. They are passionate about the importance of a natural, healthy lifestyle from what goes into our bodies, to what goes onto our bodies. 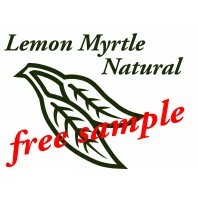 They use locally sourced, organically grown lemon myrtle in all of their products. Experience the fragrance of the Australian rainforest through their natural lemon myrtle skincare range. Their products are natural and 100% cruelty free. Aromamatic Products is an Australian company that developed a revolutionary and innovative device for vaporizing of aromatherapy essential oils, which was both a safer and more effective solution than the candle burner. The Aromamatic Electric Oil Vaporizer met with immediate market acceptance both nationally and internationally and complies with Australian Relevant Standards. Aromamatic Products has grown to become one of the world’s leading aromatherapy companies supplying retail and direct marketing chains in Australia and distributors in Asia, the South Pacific and Europe. Simplyclean is a range of sensitiser free, toxin free and earth safe home cleaning and personal care products. Simplyclean is the healthier alternative eco cleaning range for your home, with no compromise on cleaning performance. 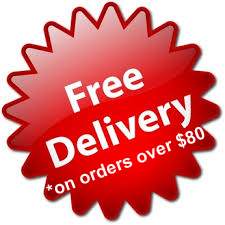 An Australian company, it provides not simply eco cleaning products but human healthy products. A cleaning range completely free of irritating chemicals to provide relief for people who have any kind of skin sensitivity or allergy, and an alternative for people who, like many of us, are concerned about the carcinogenic (hazardous) effect that daily exposure to harmful chemicals used in the home can have on our long term health. No nasties or concerning chemicals like SLS, SLES, parabens, mineral oils or diethanolamides, all commonly found in everyday cleaning products. 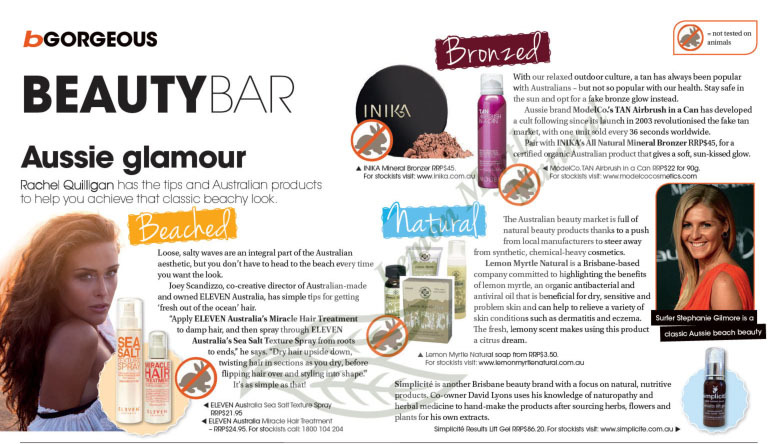 The star ingredient in the range is pure Australian lemon myrtle oil. A pioneer that has supported environmental, sustainable principles in business for over 30 years, Thurlby Herb Farm sources only the finest quality ingredients for their products, from ethical sources, locally if possible. The company was established on strong environmental and ethical grounds. The product packaging is predominantly made from recycled cotton fibre. The natural, botanically based products and recycled packaging are naturally gentle on your skin, gentle on the environment. The products are created by hand, using traditional herbal knowledge and methods. And importantly, they contain no synthetic additives, no parabens or lauryl sulphates, and are not tested on animals. Their founding principle is to make fine quality botanically based products - without synthetic additives - the sort of products they would like to use themselves. Outback Spirit is part of a proudly 100% Australian owned company and a real family business. The founders are recognised pioneers of the Australian native food industry and have been at the forefront since its inception in 1986. The company was established in 1997 with a vision is to bring Indigenous foods into the mainstream food market and the company is the industry leader supplying the Outback Spirit branded range of products to supermarkets nationally in Australia. In 2000 they decided to formalise their relationships with the company’s Indigenous suppliers and established an ethical supply chain which has ensured that benefits from the sale of Outback Spirit products go back to the Aboriginal people who are developing their own enterprises based on native foods. The company also established the Outback Spirit Foundation in 2008 and work closely with the Indigenous Food Fund on projects at Community level. All their products are natural with no artificial colours, flavours or preservatives, contain no genetically modified ingredients and gluten free.